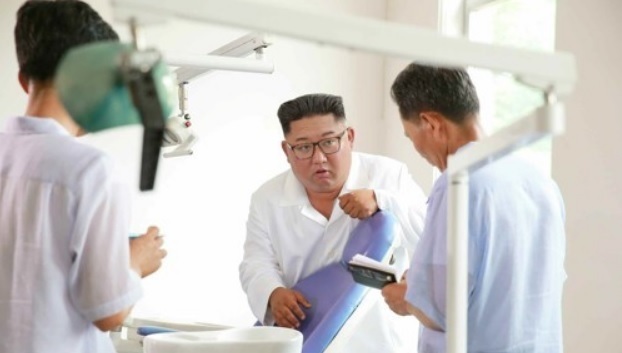 Health situations in North Korea are "extremely worrying" as multilayered global sanctions on its regime are taking a toll on the country's medical supplies, a North Korean Red Cross official has said. Ri Ho-rim, secretary general of North Korea's Red Cross, made the remarks carried in a statement recently issued by the International Federation of Red Cross and Red Crescent Societies on its website. "The health situation is extremely worrying. The impact of sanctions on basic medicines is severe," he said. "For example, the lack of vaccines, antiviral medicines, rapid testing kits, personal protective equipment for health workers and hand sanitizer were major factors in an influenza outbreak earlier this year." According to an IFRC estimate, around 10.3 million people in the North are suffering from food insecurity, malnutrition and a lack of access to basic services. Recurrent natural disasters such as a heat wave, a typhoon, floods and landslides in 2018 have aggravated already severe humanitarian challenges in the North. Adding to the woes, the IFRC said global sanctions on the North have been blamed for delaying supplies of necessary medication to the North Korean people, which it said causes a "serious impact" on health conditions there. "Sanctions imposed on the DPRK are not intended to restrict humanitarian activities or to have adverse humanitarian consequences for the civilian population," the organization said, using the initials of the North's official name, the Democratic People's Republic of Korea. "Yet in practice delays occur due to the perception of banks, suppliers and officials that they risk violating the sanctions. These delays have a serious impact on already vulnerable people," it said. Despite a thaw in inter-Korean relations punctuated by three summits between the leaders of the two Koreas this year, humanitarian assistance bound for North Korea has not been resumed. Last year, the Seoul government announced a plan to provide $8 million worth of aid to the North through international humanitarian agencies, but it has not been carried out yet amid little progress in denuclearization talks and existing global sanctions. Top US nuclear envoy Stephen Biegun recently said that Washington will "reevaluate" its ban on American citizens' travel to North Korea early next year to facilitate aid groups' delivery of humanitarian assistance to the country. Last week, South Korea unveiled a plan to provide Tamiflu, an antiviral medication, to the North. Details on how much and in what ways the medication will be delivered will be discussed this week, a government official said earlier.